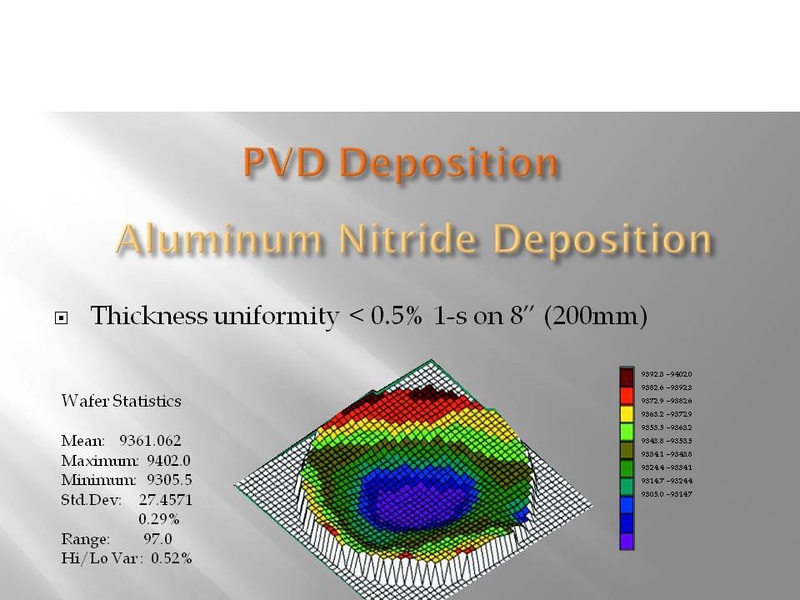 Advanced Modular Systems Inc. was founded in response to an industry need for the unique requirements of the high volume manufacturing of piezoelectric thin films. Our projects range from simple software and electronics upgrades to fully automated production cluster tools with multiple modules. AMSystems provides world-class and efficient solutions to R&D and production customers alike. Our customers range from: university laboratories to large wafer manufacturing facilities that produce up to 50,000 wafers annually. Our easy to use, customized systems address all of our customers' unique process needs. We are a technology driven company, so our tools are designed based on our customers’ process requirements. We provide novel solutions, continuous improvements, and outstanding service and support to our customers. To provide easy to use, customized systems that address customers' unique process challenges with solutions that exceed customer expectations. To achieve our mission we will utilize the best possible industry-proven components and employ expert quality outsource services so that we can employ a dedicated, motivated, well-managed, and highly trained team of professionals that focuses its efforts on delivering novel technical solutions, continuous improvements, world class service and technical support to our customers.